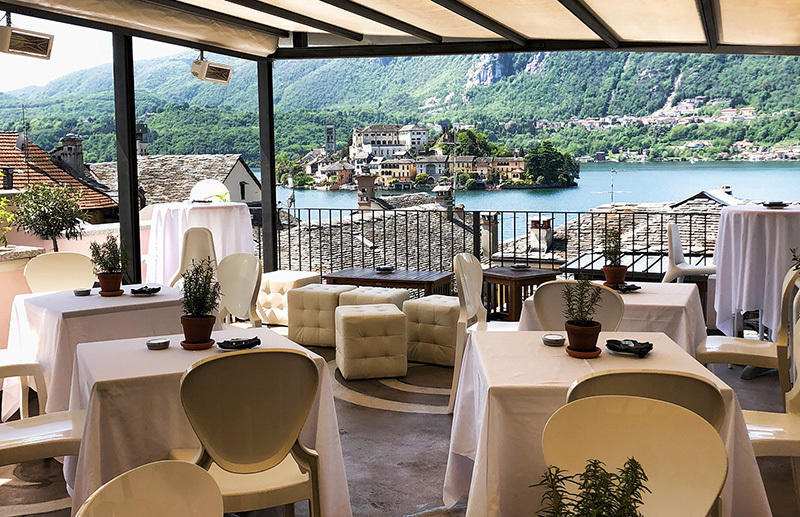 The panoramic restaurant, ideal for a special moment or an evening with friends, is located on the fourth and last floor of the Locanda di Orta, accessible by elevator. La Terrazza Bistrot is dedicated to those who love a more informal atmosphere, as romantic as they are nice, to live an unforgettable experience at lunch or dinner. 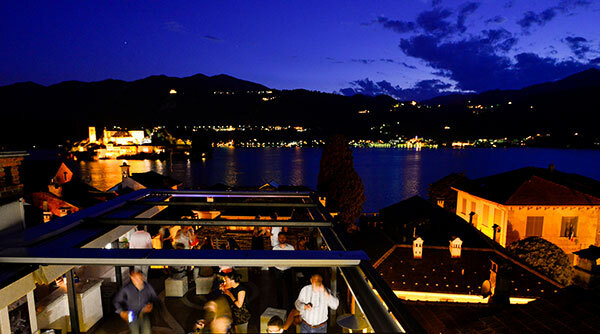 The breathtaking 360-degree views of the lake and rooftops of the picturesque medieval village of Orta San Giulio along with the cuisine of fresh flavors and modern combinations create an irresistible blend of beauty and goodness. There are two proposed menus with four courses, one of water between the river and the sea and one of land, with hints to the mountains, the pastures of the hills and the nearby plains, as well as typical tasty dishes for a light meal. Do not miss an eye for those who prefer vegetables and vegetables and those who have food intolerances. The Locanda’s wine cellar boasts over 600 labels including regional, national and international, with proposals by the glass, craft beers and cocktails. Open in spring and summer, this young and lively bistro is a must for lovers of taste and for lovers of conviviality, all taken care of and coordinated with care and passion by the chef. For a trip in pleasure try the experience of the Gourmet restaurant, where our Chef will introduce you on an experiential journey of taste, accompanied by an expert Somelier!